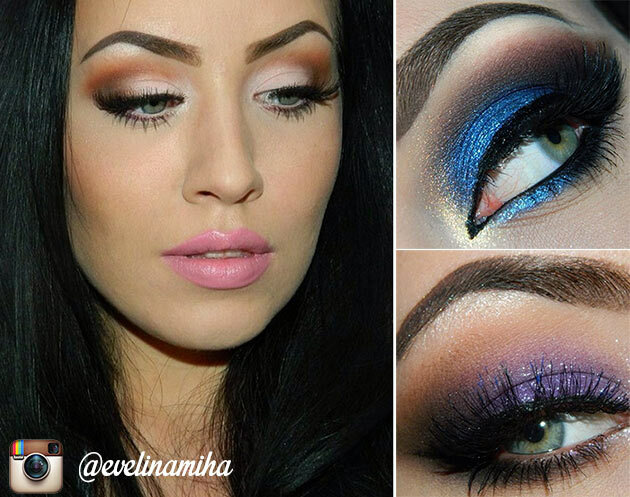 If you are looking for beauty inspiration and cool sources for having the most impressive makeup looks for the most diverse occasions and purposes, then following the most inspirational and gorgeous beauty gurus on Instagram is a very good idea! To make your job easier, we have made up a list of the top 15 Instagram beauty gurus worth following, looking through the pics of which you will definitely have everything you need for the impeccable and chic looks for any occasion! Thus, our all-time fave Evelina Paunescu is the first gorgeous goddess of beauty we would like to speak about. You might remember the super big diversity of makeup tutorials Eve introduces for Fashionisers. 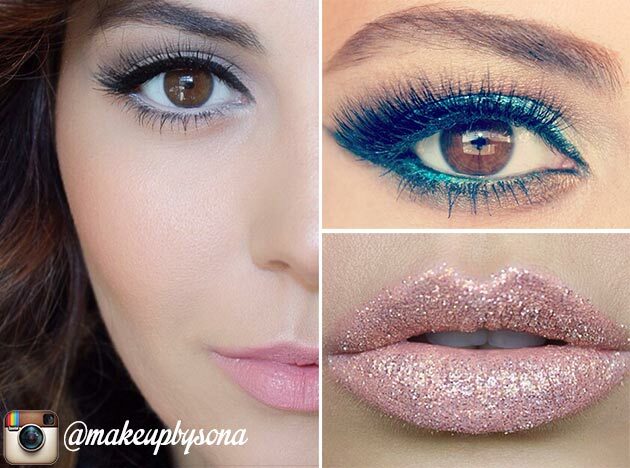 The highly sophisticated and just perfect makeup variants we have each time simply leave us out of breath! Apart from presenting some cool alternatives for special occasions like Halloween, you may also find some great makeup ideas for your everyday looks and events like dates too! LA-based Lilit is the next beauty expert we would like to speak about. What makes her Insta page so cool and great is the wide diversity of makeup ideas, providing us with a range of options meant for various occasions. She’s constantly	introducing some nice alternatives of makeup having different accents, thus making the eyes or the lips or the perfect contouring the center of attention, nicely combining that with the rest of the details. Maya Mia comes right after, presenting the uber tasteful and perfectly worked out makeup alternatives, which are outstanding with the super professional accents and color combinations. 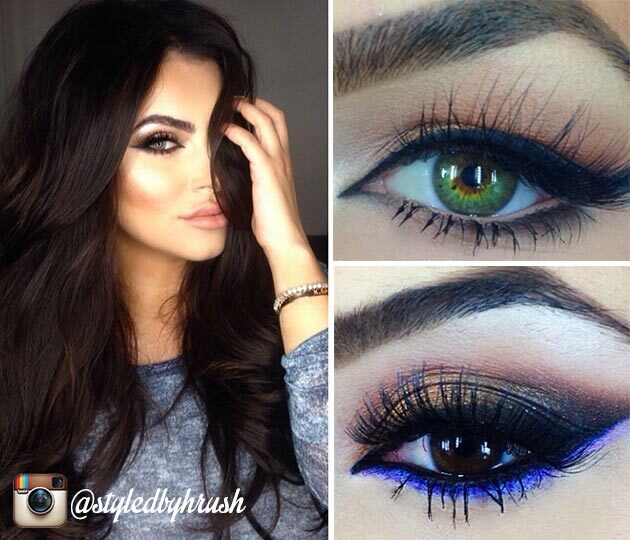 On her Instagram account, she also shows	how to have the best makeup options like close-to-natural looks and options with extravagant yet nicely combined color plays for eyes and lips. 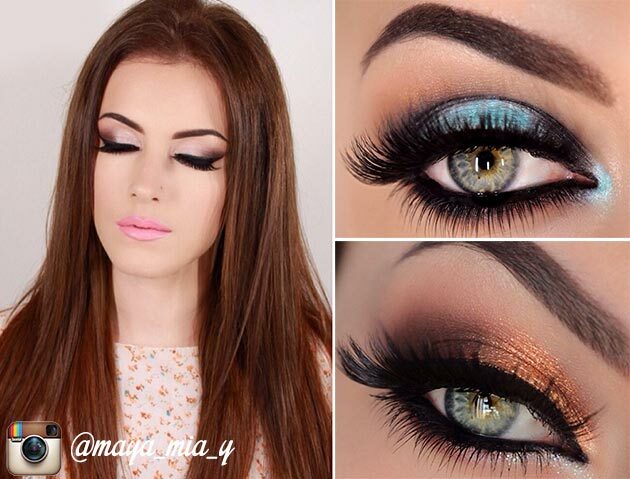 The uber chic and glamorous makeup variants suggested by Anna Petrosian also catch our attention and make this page a part of our list due to the greatly worked out makeup looks, coming with proficiently worked out techniques like smokey eyes and natural looks with proper highlighting and lowlighting techniques creating really impeccable outcomes. 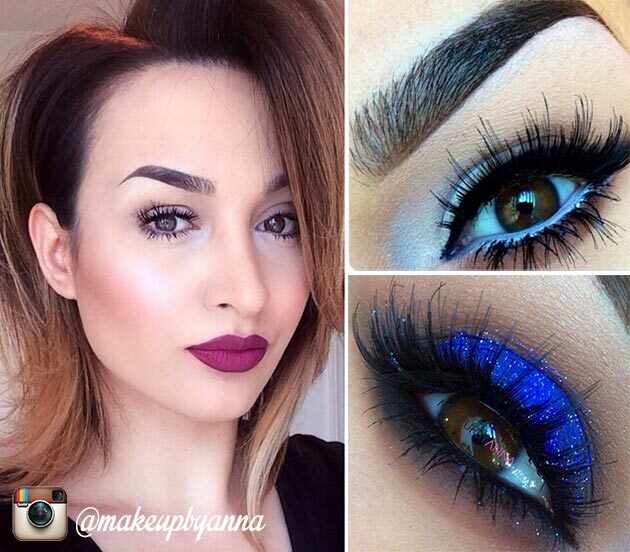 Anna is also the founder of her signature makeup line, entitled Dose of Colors. So discover the secrets of these details right on Anna’s Instagram account! The gentle and super delicate accents that Sona Gasparian usually opts for when creating makeup looks	are really worth mentioning too! If you are a fan of natural looks with extremely cute and charming accents, all put within the humble and classic patterns, then this Insta page will provide you with a great range of inspiring ideas. 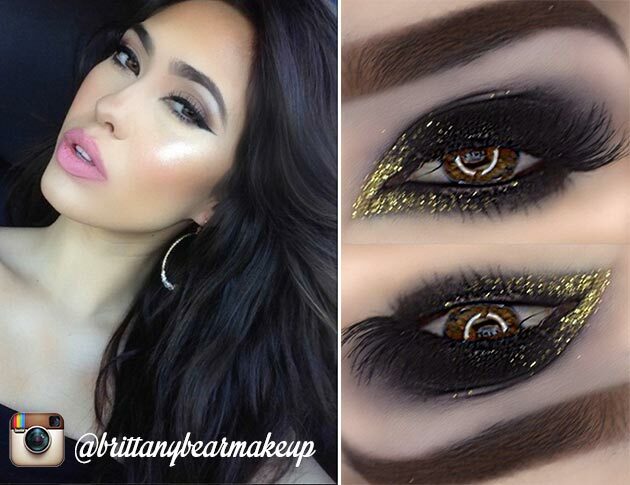 The gorgeous Instagram page suggested by Brittany is also included in our top list, characterized by	the great deal of personality statements and attractive variants of makeup, which will make you the center of attention and provide you with great play pairs for the catchy and sassy garments. Femininity is the main accent of the makeup alternatives we discover in the Insta page of talented and proficient Hrush Achemyan. From super cool alternatives for everyday makeup to options meant to perfect the bridal looks, everything is in for this amazing range of variants. So stop by for inspiration here too! 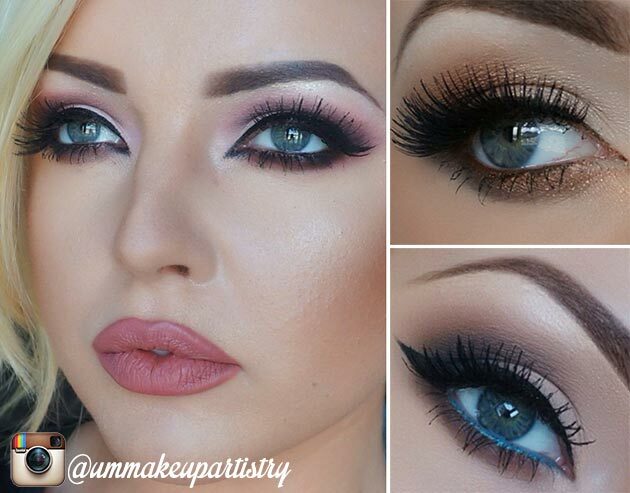 While looking for the widest ranges of makeup options, we found a real miracle! 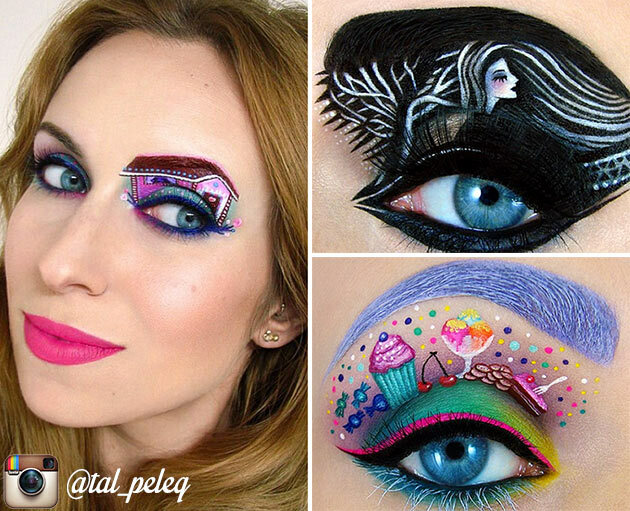 Following the Insta page of uber talented and creative Tal Peleg you will be able to see how makeup is turned into a real piece of art! 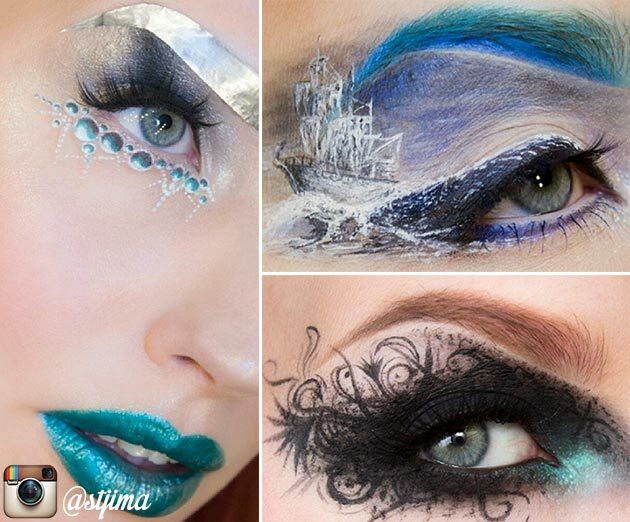 The artistic thematic prints and images we see come as eye makeup and nail art! So be sure to check that out! 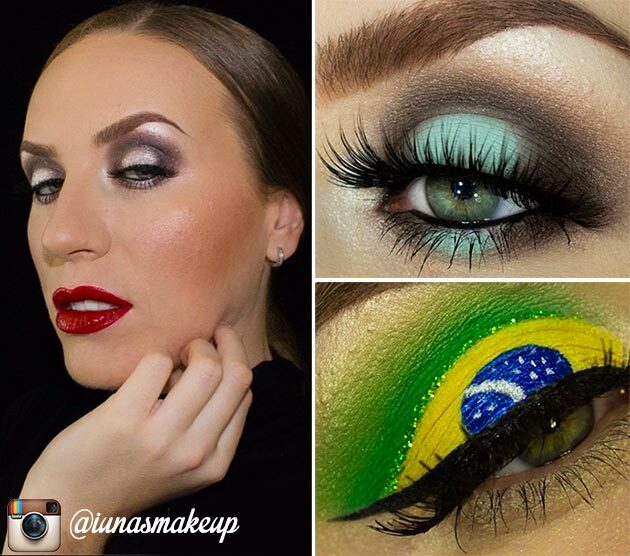 Mona Petre is the following muse for beauty inspiration we recommend following on Insta! 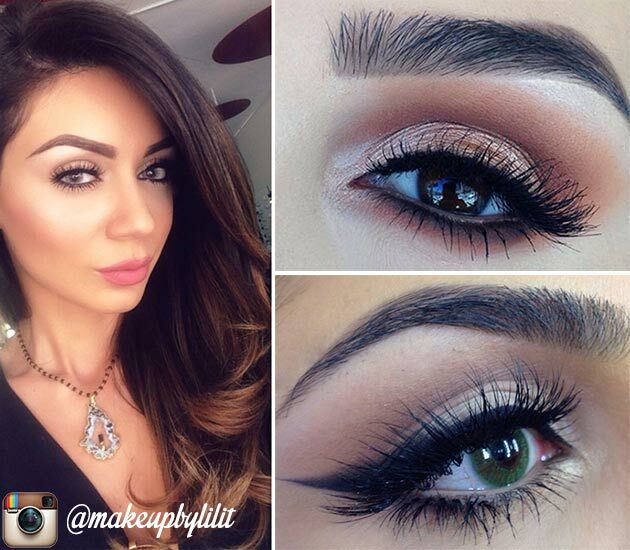 From attractive cat-eye makeup looks to picture-perfect natural makeup styles and options with sweet pinky accents, as well as some subtle outlines on the eyes, everything is right here and you just need to look through the alternatives found here. Tatiana has another creative and artistic range of makeup looks	for you, coming up with the most ideal combinations of eyeshadow and lipstick shades, described by	the perfect compatibility and effect they have together. 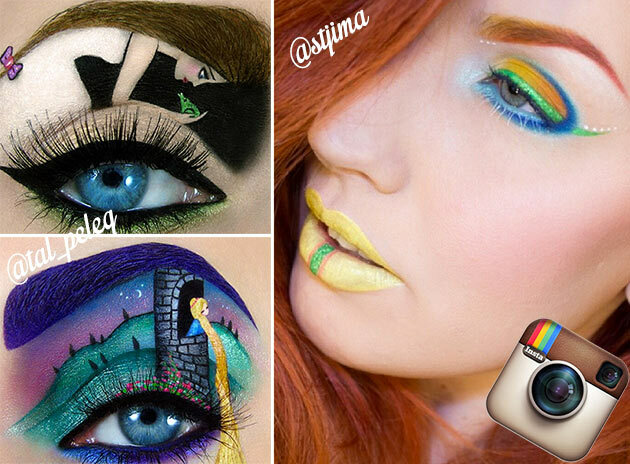 Artistic interpretations and eyeshadow art are	not missing out of the array either. 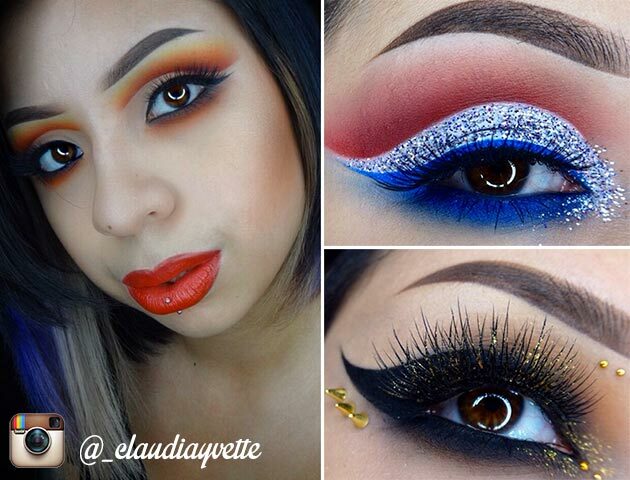 Continuing the range of the most artistic and sweetest interpretations of makeup, we can also suggest looking through the range of options suggested by Claudia! From perfectly matched color combinations and plays to the most impeccable special makeup options like those meant for Halloween, the stunning pics of this talented girl will provide you with a high dose of makeup inspiration. Katina is the next beauty on	our list, and the peculiarity of the looks	suggested by her is not only the diversity of styles for various occasions, but also the specific choice of lip shades, described by	the unusual yet perfectly picked shades, matching the color plays of the eyes just perfectly. 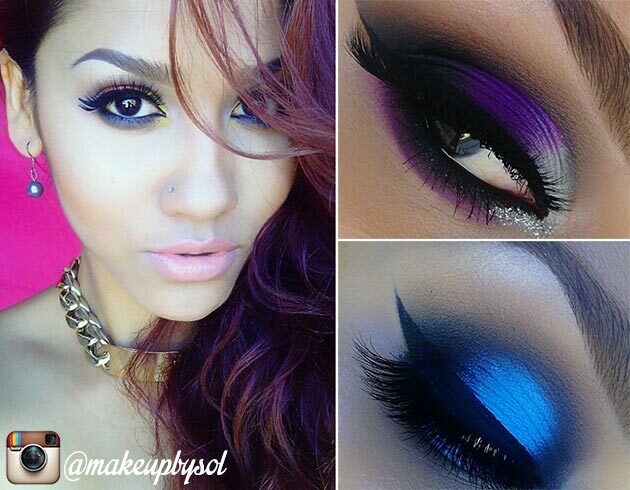 The tastefully chosen color combos and the dramatic eye makeup styles represent the other catchy aspect of her Instagram page. 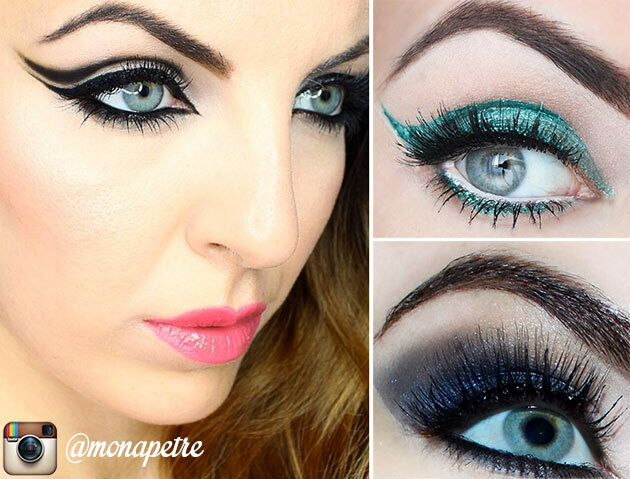 The coolest and the greatest casual, bridal, party and Halloween makeup looks	are right here! These catchy and super professional alternatives will really manage to catch your attention and to secure the inspiration for the most successful and classy makeup alternatives ever! So enjoy the classics! 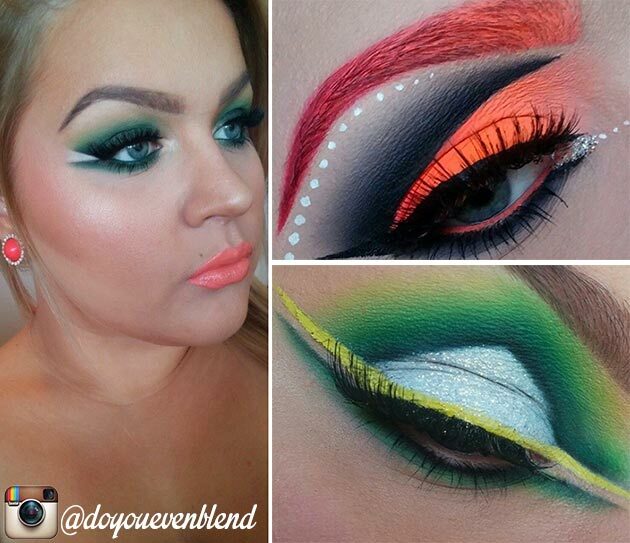 The most incredible experiments with colors and design patterns can also be found on Marisol’s awesome Insta page, coming with the super huge diversity of shades and variants of making them work together, all secured with the tasteful combos and the nicely matching lip and eye makeup varieties. Cute and charming Marisol Villase‚Äö√†√∂¬¨¬±or will really manage to make you heart melt right away! Finally, the last but not least effective range of makeup looks	can be found on the page of beautiful and charismatic Sandra Holmbom, who really manages to ace every single look and makeup alternative from artistic interpretations to classic forms and styles. “The face is my canvas’, states Sandra also playing with the patterns and the shades, yet providing us with second-to-none creative and chic looks	every time. So, here were the top 15 Instagram beauty gurus we would like to present to your attention, hoping that you will manage to find the most suitable and the coolest makeup ideas and fresh solutions for the most effective and greatest looks of yours. Following their Insta pages you’ll be able to learn about the new and great suggestions and makeup options they come up with, also enriching your arsenal with fresh and unique beauty variations!